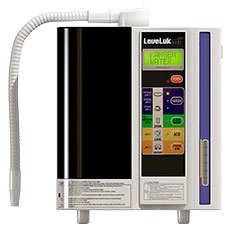 The best water ionizer produces the right water for your health and prevention of disease. Most people think all water is the same, as you can see it is not. We are living organisms that are dependent on living water, so it is important to have the best ionized water for your body. Our bodies are comprised of 75% water. It takes a special kind of water to carry nutrients into the cells and flush toxins and metabolic wastes out of the cells. Toxins become dangerous free radicals that cause tissue damage if they are not properly eliminated. Most waters people consume today have been proven to be over processed and acidic, providing very little benefit. Most people are unaware that the bottled ‘AlkaLINE’ waters sold in stores are chemically altered to be ‘AlkaLINE’. However, they are not actually ‘Alkalizing’ to the body. People are paying a premium for the hype. There is a huge difference in ‘AlkaLINE VS AlkaLIZED water when it comes to health. Alkalized, Ionized, Mineral Charged, High Antioxidant-Rich living water is produced via electricity only. Therefore, it has been clinically and scientifically proven to be the best healthiest water, not only for drinking, but for living. You want to make sure the machines you are looking for produce electrolyzed reduced water. 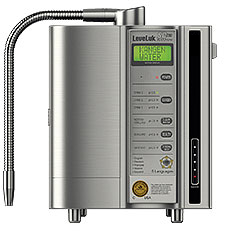 A water ionizer is a device that transforms tap water into living water. There are many different ionizers on the market today but when it comes to your health, choose wisely. 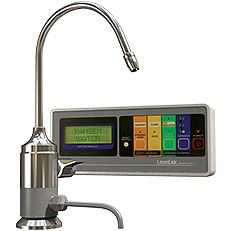 Choose the best water ionizer for your family’s health. When you compare apples to apples, with the various water ionizers available, there are many similarities. However, when it comes to performance, reliability and results, there are differences that don’t compare. You get what you pay for and when you invest in a device through Hydrate Global, it will be the only one you will ever need to purchase, hands down. 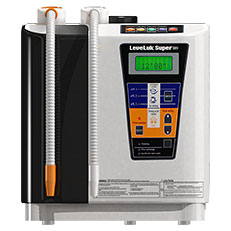 Hydrate Global represents the leader in the ionizer industry. Being The Gold Standard of the ionizer global industry, we are very often compared to by other companies. Do you ever see Mercedes compare themselves to Kia or Hyundai? True industry leaders never compare themselves to others. Our 43 year established Japanese company is the only Full Service Ionizer Manufacturer operating in the United States. What does this mean to the consumer? Operating as a Full Service Ionizer Manufacturer means that the company owns and operates their own manufacturing facility and their own ionizer brand. This represents a solid commitment to the product, the industry and most importantly, to the consumer. 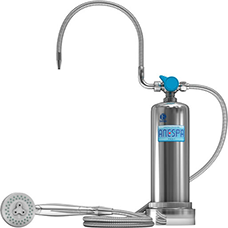 The best water ionizers have a patented, manual cleaning process over and above the periodic self-cleaning that is an automatic function of our ionizers. Regular monthly cleaning is extremely important for optimal performance of your ionizer, increases lifespan of your device and will produce the highest quality alkalized water. There are several reasons why the best water ionizers attainable through Hydrate Global have been the superior choice for over four decades for uses in top-tier wound clinics and in hundreds of hospitals in Japan and expanding as more benefits are realized from this astounding science and technology. Efficacy and reliability is not to be understated when it comes to health. The plating system is the engine of our water processor technology. The plates are solid, stable and medical-grade, consisting of a large surface area of thick 100% Titanium, dipped in 100% Platinum of the highest quality available. This patented plating system is designed to sustain 230 watts of consistent power without overheating. The workmanship and manufacturing process cuts no corners on these key elements. Have you ever priced out a “Titanium Golf Club”? Did you know that platinum is more expensive than gold? Our technology creates the most stable strongest alkalized, antioxidant-rich, mineral charged water for people who are suffering from a multitude of over acid, degenerative related diseases. 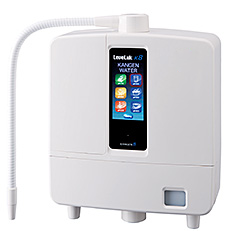 Kangen® Water Ionizers have been approved by the Japan Ministry of Health, as a top quality medical device. Our manufacturer is the only ionizer supplier certified in several areas; ISO 9001, ISO 14001, and ISO 13485 for quality control and environmental management, the Water Quality Association Gold Seal for product certification, and a member in good standing of the prestigious Direct Selling Association. ISO certification guarantees that a manufacturing process, system of management or documentation process meets or exceeds all requirements pertaining to standardization and quality assurance. It is very important to understand the difference between legitimate awards, honors and certifications vs bogus headlines such as, “BEST WATER IONIZER 2018”. There are no annual awards for water ionizers, at least not yet. This is a fictional headline and nothing more than a keyword companies use to rank page #1 of Google and fool consumers. 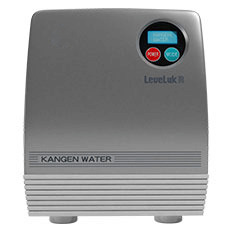 Here is what people found after comparing other ionizers to Kangen®. EDUCATE YOURSELF & FAMILY ON QUALITY. Enagic Leveluk SD501 has large solid ionizing plates with 1,536 sq. cm. of ionizing surface area, made entirely of pure, medical grade 99.99% titanium and platinum. The total exposure of the water between the 7 plates is approximately 450% greater than most other brands. Most of the comptetitions use smaller-size mesh plates and the non-medical grade plates are mixed with alloys, with the potential to leak chemicals (potential metal poisoning) into the drinking chamber after some time of usage. AC 120V, 60Hz (grounded) Complete with 1 High-grade filter (HG-N), 1 cleaning cartidge, Electrolysis Enhancer, diverters and product literature. Enjoy the soothing feeling of being in a Hot Spring Resort everyday! Take pleasure in the relaxing effects of ANESPA DX's mineral-ion water. GREAT FOR SINGLES & COUPLES! Simple to operate with the fully featured compact LCD wall-mounted control panel! AC 100V, 50/60Hz (grounded) Complete with 1 High-grade filter (HG or HG-N), 1 cleaning cartidge, Electrolysis Enhancer, diverters and product literature. ARE YOU A HEALTH PROFESSIONAL OR A WELLNESS ENTHUSIAST? WANT A SECOND STREAM OF INCOME? 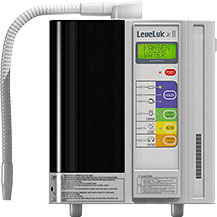 How did you determine this ionizer suites you?